I'm always up for a psychsploitation album early in the morning (oh crap! it's 11:30am), and this one can certainly fill in for the cheese missing from my eggs. Just as the title sort of suggests, we've got a bunch of late 60's hits with the melody lines played on a sitar while 101 Strings-style orchestrations lumber on in the background. You're either in for this ride or you're not. There's not a whole lot to say about most of this album. These aren't going to replace the revered versions of "House of the Rising Sun" or "The Letter," but they'd make for a wonderful bit of ironic film soundtracking. They did throw the sitar player a bone, however, and let him run wild in the studio for a few original tracks. "Crashing," "Mind Waves," and "Head" all ditch the strings, throw in a few tabla, and give us sort of the Whisky A-Go-Go, L.A. Strip sort of Indian meditation. As you probably know, I'm a sucker for this kind of thing, and those tracks kick up my appreciation of this monstrosity a bit. They actually sort of, kind of match the very groovy cover art, which you can't really say for the rest of this album. This is a sort of a 'for connoisseurs only' type of release. If you're on the fence about it, you'll find far groovier things hanging around in the Psychedelic Garage,' but I know a few of you are going to dig this (even if mostly ironically). 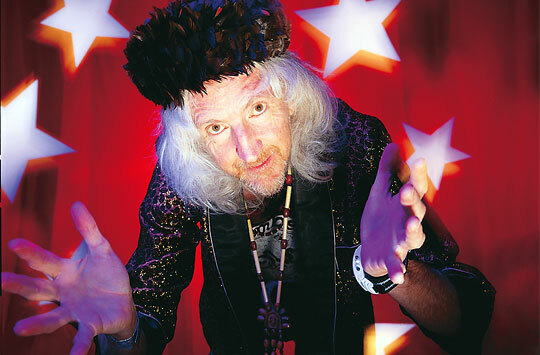 Linking guru srecko ujka has been busy adding links for a bunch of obscuro releases from Gong kingpin Daevid Allen in the comments section for Pierre Moerlin's Gong - 1979 - Downwind. I guess it's an inside joke that he put the links on the post for a Gong release that doesn't feature Mr. Allen - the fellow is definitely up on his Gong history (more than myself, really). Thanks for all the links! I'm always trying to keep from stagnating in my own music, and I think this new set of Damaged Tape recordings takes a step in a notably different direction. 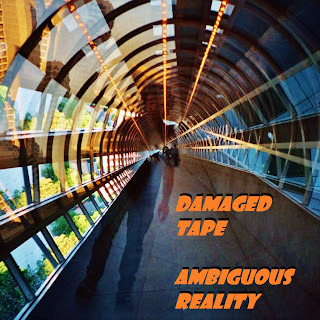 The first Damaged Tape album, "Electronic Ocean," was recorded with a very different set up than I have now, and I've been trying to return to the hazy, moody atmospheres of that album ever since unsuccessfully. I think I've finally managed to do so here. There is very little drum programming, and many tracks are based on arpaggiator riffs from my various synthesizers. I often start to make an ambient type track, but eventually find myself drifting in a different, more elaborate direction, yet much of this music makes for what I think is very groovy, shapeshifting psychedelic wallpaper. I had also been listening to a lot of 70's Vangelis during these sessions, and I think "Mathematics of the Genome" and "Sandcastles of Paraguay" hit upon that vibe quite nicely. I've also accepted that I play guitar a lot better than synthesizer, and I tried to mix in plenty of guitar work with the electronics - in fact, "Wheels of Vishnu" barely has a synthesizer in it. I've also been trying to live up to the Damaged Tape monkier a bit more, and have been trying to record with a little more warped sound and grit. While I'm still happy with albums like "Futara" and "Stone God," they sound a little more sterile and polished than I really wanted. While I do the instrumental heavy lifting, this music would not be the same without the contributions of Scott Atkinson. I always dig his cosmic poetry, and his guidance as I'm recording is invaluable. He's also the fellow who comes up with the song titles (except for the last one), which I think gives the recordings their identity. A couple of these tracks were recorded with my old roommate Devin Carlen in a late night, wasted recording session. I gave them a listen recently, and a few had a very freaky experimental edge that I still found entertaining six years later. Just as a warning, if you listen to "Waiting in a Time Capsule Trapped in Outer Space" on headphones, it may actually drive you insane - that or make you vomit from disorientation. Either way - you have been warned. Ah yes, and the fellow you almost see on the cover is Mark Malek, a good friend of mind who I've played in bands with over the years and made a few entertaining Glaze of Cathexis remixes that I'll need to post eventually. We were in downtown Atlanta on our way to Mai Tai night at Trader Vic's when that was taken. 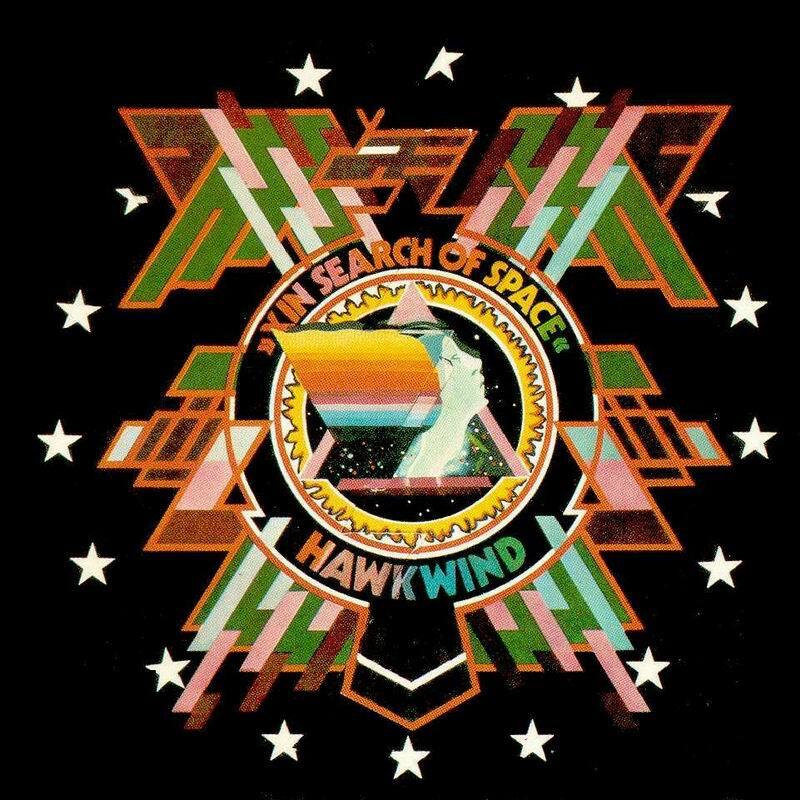 Hawkwind has a giant, intimidating discography, and I have to admit that I haven't delved too deeply into it. I do know that I dig this album quite well. The live "Space Ritual" typically gets the love, but I find the sound on that one a little muddy, and Lemmy's bass seems to be out of tune for most of the album (not that this detracts from the awesomeness of Lemmy). I dig the slightly more focused, and better recorded intergalactic musings found here. The band has no problem entering a full on psychedelic heavy metal groove, and there are plenty of wild early synth sounds to keep my attention. The album opens with the punk rock stomp of "You Shouldn't Do That." It's an absolutely essential track with plenty of wah-wah acid guitar, wild saxophone madness, and some electronic tones to penetrate into the deepest recesses of your brain. This is all capped with some great breathless vocal 'harmonies' making the song's title a mantra. Yeah, it's 16 minutes long, but that may very well be too short. The other classic on this disc is "Master of the Universe," which I suppose is the band trying to usurp Black Sabbath's claim of the title "Master of Reality." I don't know if they quite take down Ozzy, but the psychedelic sludge is a pretty even match and Tomy Iommi probably would have killed all of Hawkwind to steal the guitar riff if he had had the chance (dammit, I need to write about heavy metal more often). "We Took the Wrong Step Years Ago" is a meditation on if the band had focused on progressiv bluegrass I suppose, while "Adjust Me" is a wandering experiment that doesn't quite pay off. At this point Hawkwind was sitting a point right in the middle of progressive rock, heavy metal, and psychedelia, and it was a pretty groovy place to be. 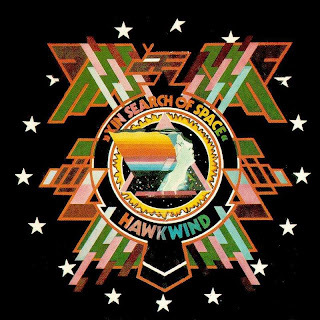 I don't know if this is really Hawkwind's best effort, but it is the one that I find myself listening to over and over again.